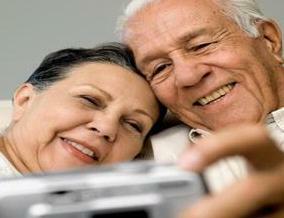 A study suggests that YouTube and Facebook can reactivate the brain of elderly and prevent from loss of memories. Even serves to reduce stress and depression. Through research, scientists claim that elderly are busying themselves with social networking sites have a more flexible brain state. Usage of the Internet also able to reduce symptoms of anxiety, stress and depression and help the elderly to develop social networks. Over the last few years the number of elderly who surf the internet actively increase up to 80 percent.